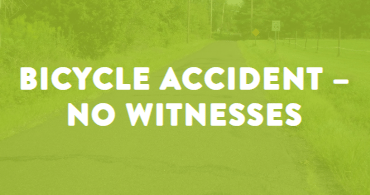 Bicycle accidents account for approximately 700 traffic deaths per year, with countless more serious injuries. 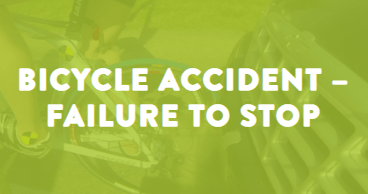 These bicycle accidents not only include the typical motor vehicle versus bicycle incidents, but also bicycle versus bicycle, bicycle versus pedestrian, bicycle-only accidents and accidents due to structural bicycle component failures. 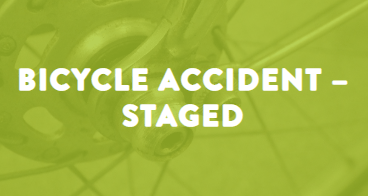 ARCCA’s engineering team is comprised of experts from a wide range of disciplines, including bicycle safety, engineering, biomechanics, and human factors, and they have extensive experience investigating the many types of bicycle accidents to determine how and why each incident occurred. 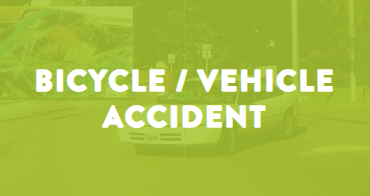 Rider Behavior/Bicycle Safety – This entails an analysis of whether the bicyclist operated his/her bicycle in accordance with statutes and safe cycling practices and, if not, whether that could have been a contributing factor in the accident. Bicycle Helmets – This involves an analysis of the protective effect of a helmet (or absence thereof) in a particular accident. Our experts can conduct a detailed analysis of the accident dynamics as they relate to the injuries claimed. 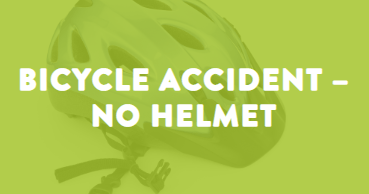 ARCCA experts can also perform bicycle helmet testing in our onsite lab to determine whether a bicycle helmet meets head protection safety standards. Bicycle Ride/Race Promotion – ARCCA experts can evaluate whether a ride organizer/race promotor followed industry standards and good safety practices when conducting an event, i.e. including specific warnings in ride brochures or providing a sufficient number of course marshals at a bicycle race. GPS Data Mining –When an accident occurs, data mining of cloud-based athlete/social platforms enables ARCCA’s experts to extract cycling metrics, such as speed, distance traveled, heart rate, and power, from a GPS-enabled bicycle computer. Additionally, information regarding roadway usage by cyclists (frequency, dates, and speeds) can be extracted. Bike Facility Design (i.e. bike lanes and paths) – Our experts can evaluate whether a particular bike facility, i.e. bike lane, was designed and constructed in accordance with AAHSTO (American Association of Highway Safety Transportation Officials) standards and other engineering safety design practices for bicycle facility design. Particular issues can include lane safety markings, signage, and sightlines. Conspicuity/Illumination –ARCCA’s experts will evaluate the presence/absence of conspicuity aids such as reflectors, retro-reflective bands, and blinking lights and, if present, their relative effectiveness in a particular accident. Additionally, they will conduct vehicle illumination pattern analyses to determine whether or not bicyclists, including those without conspicuity aids, could have been perceived by a driver during nighttime conditions. Bicycle Assembly/Maintenance – ARCCA’s experts can evaluate the assembly and maintenance of a bicycle to determine whether such assembly and maintenance were conducted in accordance with industry standards and whether any deviations from such standards were a causative factor in the bicycle accident. 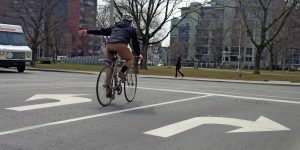 Human Factors – In analyzing a bicycle accident case, ARCCA experts will also consider the human factors aspects of a cyclist given his/her unique situation of being a human-powered vehicle on the roadway. For example, the focus of a bicyclist’s cognitive awareness will vary depending on roadway and traffic conditions. Additionally, the location of a bicyclist’s hands on the handlebars, as well as his/her exertion level can adversely affect perception-reaction times. Our experts have the ability to make that determination.